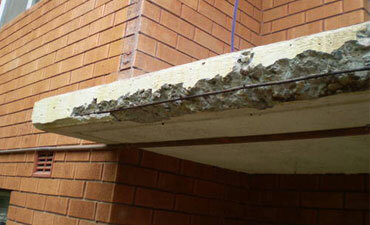 Concrete cancer occurs when the steel reinforcement in concrete or brick begins to rust. 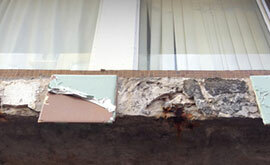 Corroding steel expands, displacing the concrete around it, causing it to crack and become brittle. The problem with this cracking, or concrete spalling, is that it often causes further exposure of the steel reinforcement, which untreated, can accelerate the problem. 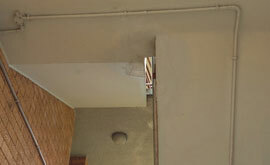 Aside from just looking bad, loose or falling concrete creates a potential hazard. CIW can remediate concrete cancer by treating or removing the rust at its source and preventing further corrosion. 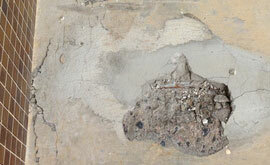 The affected area can then be restored back to its original state. To enquire about concrete cancer repair, or to arrange a quote, simply call our specialists on 1300 885 370 or contact us via the form below.